After two ewes lambed a couple of days early I thought I was off to a good start this lambing season. Ewes three and four lambed right on schedule and then. . . . a week went by without another lamb. Just as I was starting to think that 2016 would be an even worse year than 2015 with regards to lambs, yesterday morning I went out to feed and found a ewe cleaning off two lambs. 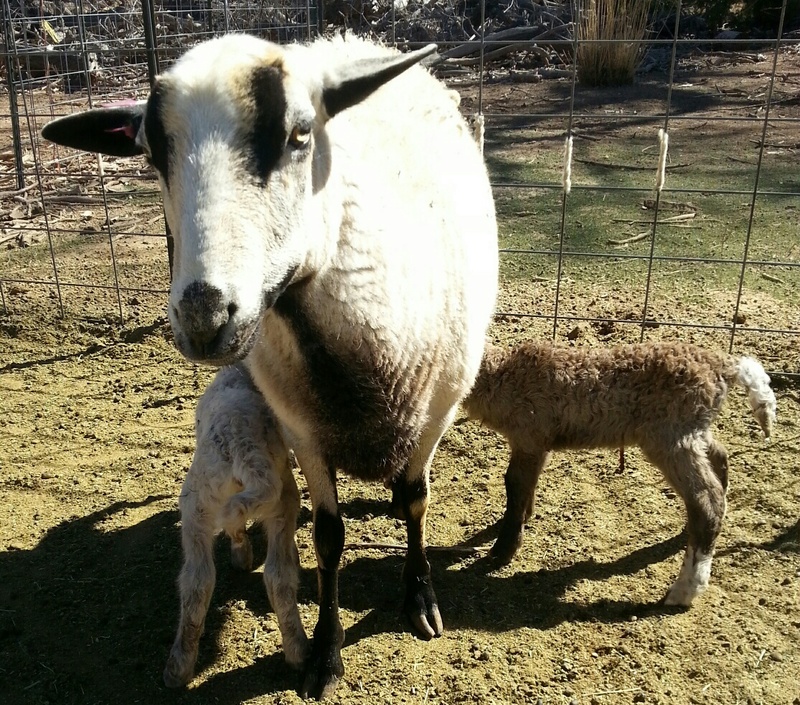 Here she is with the lambs a day later. Both are ewe lambs.